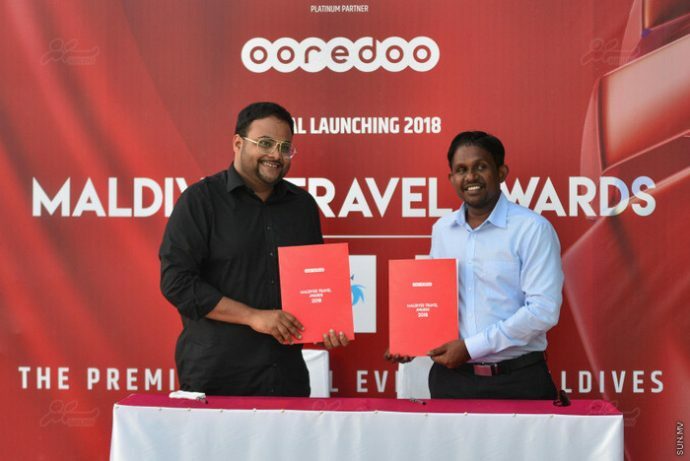 Maldives Association of Travel Agents and Tour Operators (MATATO) on Tuesday launched Maldives Travel Awards 2018 with three editions. Initiated in 2012 MATATO, Maldives Travel Awards celebrate and honour the best tourism and hospitality products in the Maldives, while fostering relationships with suppliers and local travel agents. From 20 categories in 2012, the awards have now expanded into three editions totalling 55 categories. Like last year, MATATO will host three editions: the People’s Edition, which recognises successful pioneers and long serving individuals in the tourism industry, a Guesthouse Edition, which celebrates the outstanding performance of the up and coming guesthouse sector, and the Grand Gala, which is exclusive for winners in the categories for resorts, airlines and liveaboards. MATATO will also combine the grand gala with the travel conference happening a day before, bringing an international audience of industry experts.